The VAPN tests of the SCS Tracker were good enough for it to earn enough stripes to become the default TNC in our system. The hybrid hardware/software modem within, along with punctual address by SCS firmware programmers of our various concerns yields a big design win. 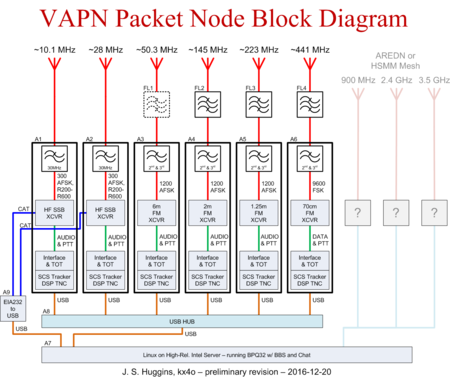 Direwolf is still the reigning champion for decode performance, but the need for extra hardware to run it in a system like the VAPN was a drawback. 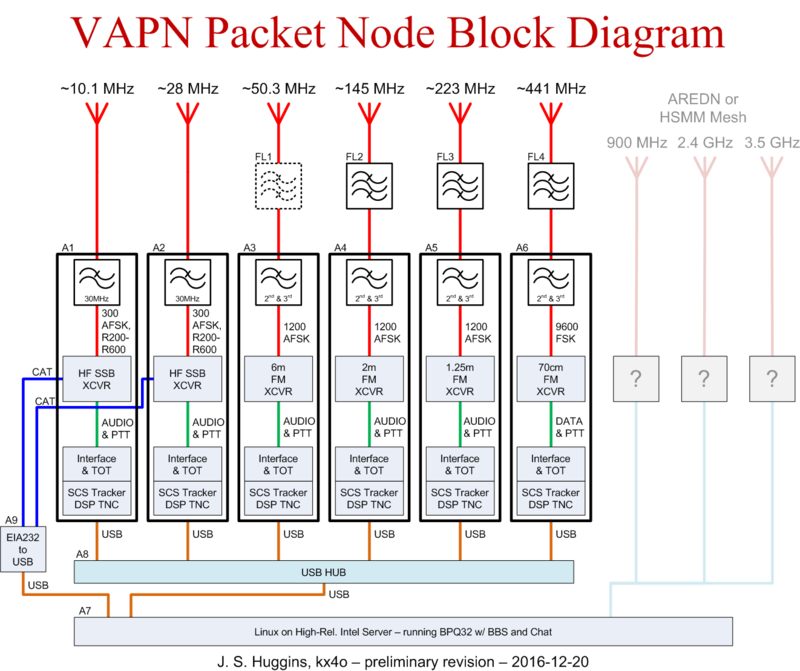 The Tracker supports every digital mode available on VAPN from Robust Packet to 9600 bps and more. Hence it becomes a universal interchangeable part in the notional radio port assemblies A1 – A6. This simplifies software setup and makes future hardware repairs potentially easier. The USB standard is not our favorite scheme for interconnection far a variety of software and hardware reasons, but these points pale in comparison to convenience. Artistic improvements here and there.